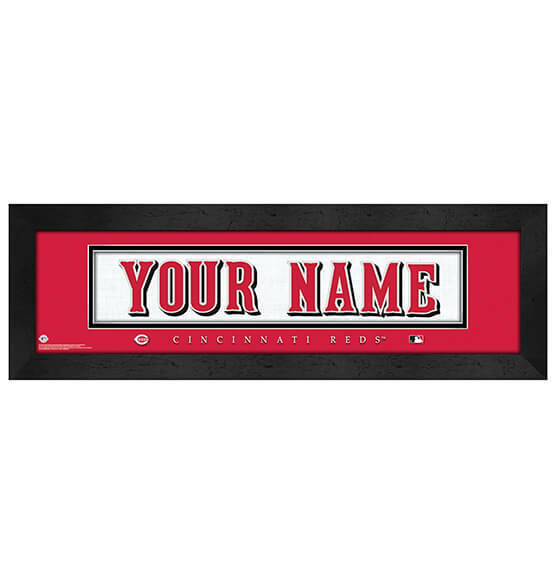 You'll hit a dinger when you purchase this fantastic Cincinnati Reds Personalized Nameplate Wall Art for the Reds superfan in your life! Great for any special occasion, this is one gift they are sure to cherish. Made to look like the back of a Cincinnati Reds jersey, this fully customizable framed sports decor is made to order with your specifications up to 12 characters. Our wall art looks great in any area thanks to its contrasting mat setting and sharp-looking black frame. It arrives ready to hang quickly and easily in any room of your home.